This Spanish pumpkin tortilla is so hearty and delicious, it can be made for any meal. Brunch and lunch have never been easier! Here’s the deal. 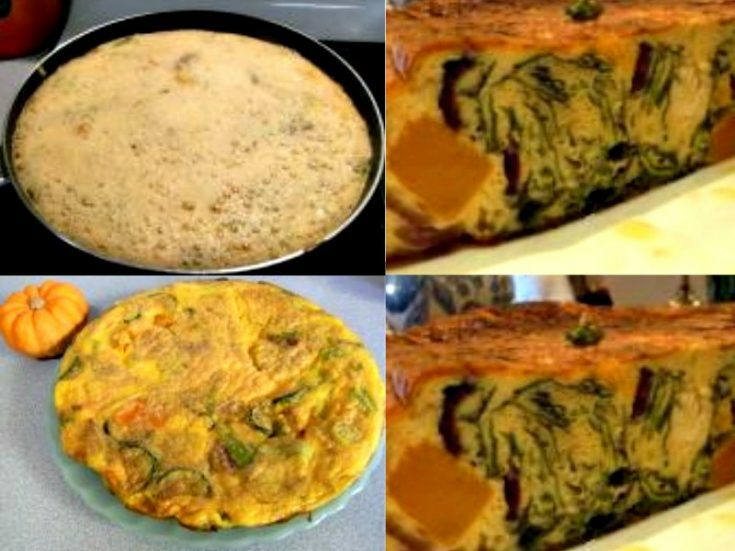 This pumpkin tortilla is basically a thick omelet with vegetables in it. The Spanish tend to put potatoes, spinach or zucchini in theirs, but you can change it up and use whatever comes to mind or just use your particular favorites. I had some leftover pumpkin when I cooked some cubes for another recipe so I made this tortilla for supper one night. It was just as good cold the next day with some salad. The eggs came from a friend at work who grows chicken. They are so yellow and fresh! It’s like you’ve never tried eggs before. Even though I always buy organic, free range eggs, these were something else. And they were huge! My friend’s chickens range free picking up insects and grazing in the garden. They get scraps from the kitchen, and chicken pellets too. They are the healthiest eggs imaginable. I had some leeks in the fridge, and some green and yellow zucchinis that I had grown in the garden. I also had a few spring onions that I’d grown in a pot. Make sure you’re careful with the stove temperatures. You don’t want the bottom to burn before the top is cooked through. If it is a particularly thick omelet, I sometimes will put the whole pan under the broiler to cook the top. If you’re brave enough, you can put a plate over the top and turn the omelet. Once it’s on the plate, slide it carefully back into the pan the other way up. Make sure it’s more than half cooked through before attempting that one, or you will end up with raw egg all over the place! This one was so good, I made it again for a family party a couple of weeks later. In other countries, it’s often served in small cubes as an appetizer. It makes great party food and I always get a request to bring one at potlucks. I love to share this recipe with all my family and friends! These pumpkin tortillas are a great addition to any meal. Heat some olive oil in a large non-stick frying pan. Gently fry the slices of zucchini, the chopped spring onions until they are just browning. Then I add a clove of chopped garlic. Finally just place the cubes of pumpkin in the pan to warm through. Don't move them around too much or they will disintegrate. Meanwhile, break the eggs into a bowl and whisk. Pour the eggs over the omelet. If there isn't enough egg mixture to cover the vegetables, add another egg, or mix a little milk into the egg mixture. You will get a feel for how many eggs you need once you've made it a couple of times. Turn the temperature down to the minimum and cook the eggs through very slowly. 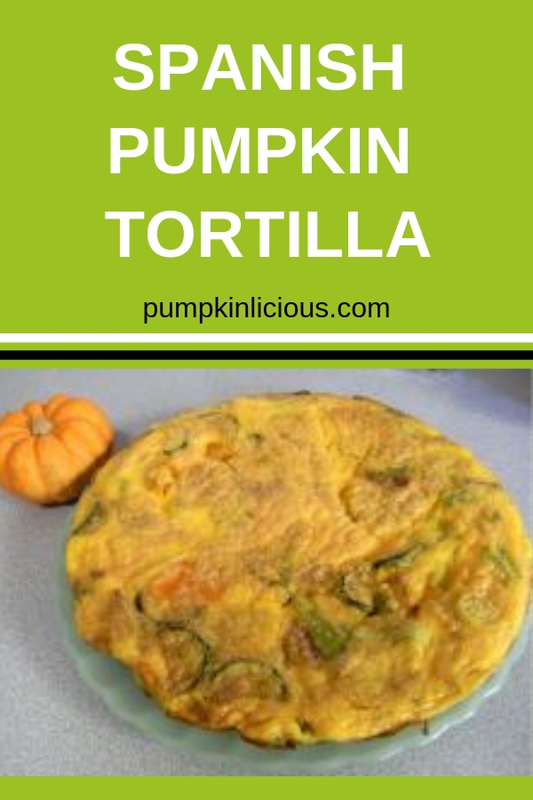 Have you tried pumpkin tortilla?